By using Cookies we can exchange information between the server and the browser to provide a way to customize a user session, and for servers to recognize the user between requests. 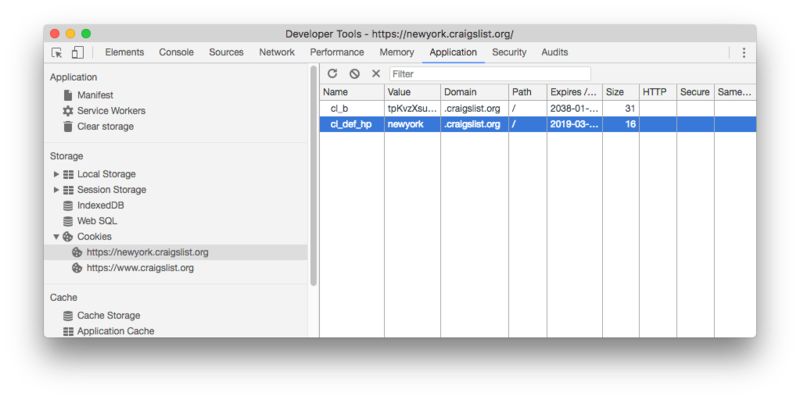 HTTP is stateless, which means all request origins to a server are exactly the same and a server cannot determine if a request comes from a client that already did a request before, or it’s a new one. Cookies are sent by the browser to the server when an HTTP request starts, and they are sent back from the server, which can edit their content. Cookies are essentially used to store a session id. In the past cookies were used to store various types of data, since there was no alternative. But nowadays with the Web Storage API (Local Storage and Session Storage) and IndexedDB, we have much better alternatives. Cookies have a long history, they had their first version in 1994, and over time they were standardized in multiple RFC revisions. The latest specification for Cookies is defined in the RFC 6265, which is dated 2011. Cookies are limited in their total number (but the exact number depends on the specific browser implementation). If this number is exceeded, new cookies replace the older ones. Cookies can be set or read server side, or client side. The cookie value should be url encoded with encodeURIComponent(), to make sure it does not contain any whitespace, comma or semicolon which are not valid in cookie values. this cookie is sent on /dashboard, /dashboard/today and other sub-urls of /dashboard/, but not on /posts for example. If you don’t set a path, it defaults to the current document location. This means that to apply a global cookie from an inner page, you need to specify path="/". The domain can be used to specify a subdomain for your cookie. If not set, it defaults to the host portion even if using a subdomain (if on subdomain.mydomain.com, by default it’s set to mydomain.com). Domain cookies are included in subdomains. SameSite, still experimental and only supported by Chrome and Firefox (https://caniuse.com/#feat=same-site-cookie-attribute, lets servers require that a cookie is not sent on cross-site requests, but only on resources that have the cookie domain as the origin, which should be a great help towards reducing the risk of CSRF (Cross Site Request Forgery) attacks. Just remember to also add any additional parameters you added in the first place, like path or domain. There are a number of different libraries that will provide a friendlier API to manage cookies. One of them is https://github.com/js-cookie/js-cookie, which supports up to IE7, and has a lot of stars on GitHub (which is always good). Use that or the native Cookies API? It all comes down to adding more kilobytes to download for each user, so it’s your choice. they will be available in the req.signedCookies object instead. Signed cookies will be completely unreadable in the frontend, but transparently encoded/decoded on the server side. https://github.com/expressjs/session and https://github.com/expressjs/cookie-session are two different middleware options to build cookie-based authentication, which one to use depends on your needs. 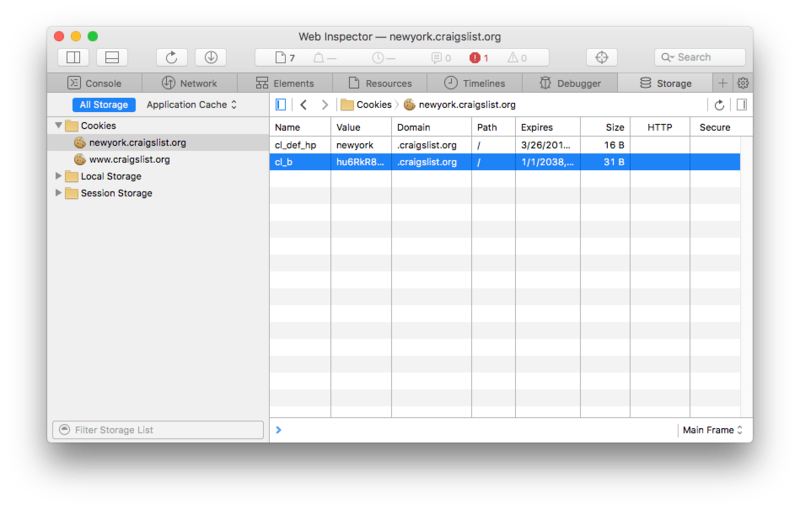 All browsers in their DevTools provide an interface to inspect and edit cookies. Are cookies the only way to build authentication and sessions on the Web? No! There is a technology that recently got popular, called JSON Web Tokens (JWT), which is a Token-based Authentication.